Group policy are collection of users and computer configuration which are majority are linked to Organization Unit.It was first introduce in Windows 2000 as part of the initiative to secure Active Directory implementation.As the past, we have develop our own way to secure the users and computer object base on business needs. When the question have been raised, what would be the recommendation or can we download the best practices this might be a challenge. 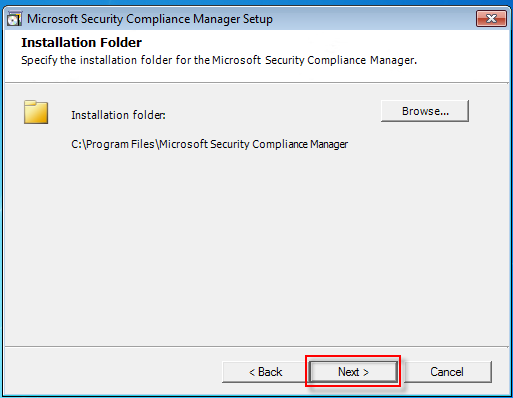 Microsoft does understand the challenge and have come out with a tool that is free for download which known as security compliance manager v2. 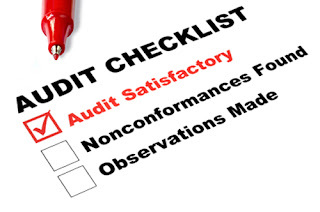 The tools consists of Microsoft security guide recommendation and industry best practice. Microsoft Word or Microsoft Word Viewer (available as a free download) can be used to view Word documents. Microsoft Office Compatibility Pack for Word, Excel, and PowerPoint File Formats (available as a free download) can be used to open, edit, and save documents, workbooks, and presentations in the file formats new to Microsoft Office 2007. 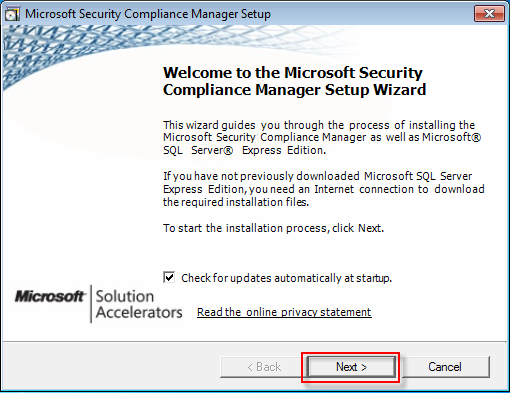 1)Installation is mostly a “click-next steps”as shown below. After you have download the file. Double click on it and follow the screen instruction. 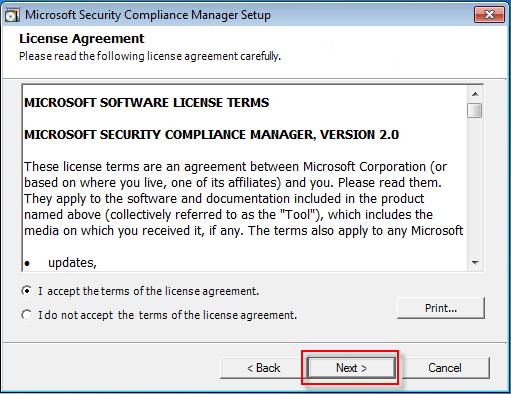 3)On the Microsoft software license terms, accept the license agreement and click next. 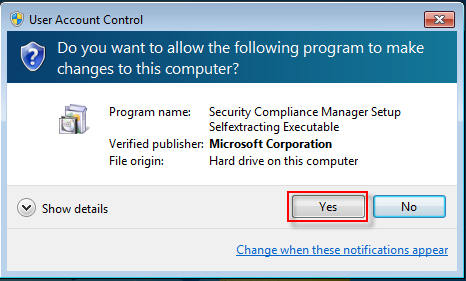 4)If you will like to use the default folder for installation, you can proceed to click next or if you would like to change to a different location you can click the browse button and select your prefer path. 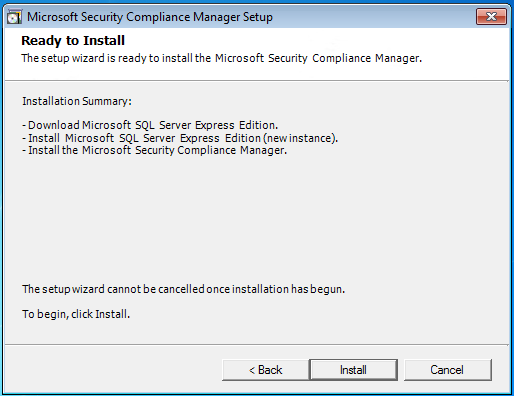 5)If this is the first time you install security compliance manager, it is advisable to use the default selection. 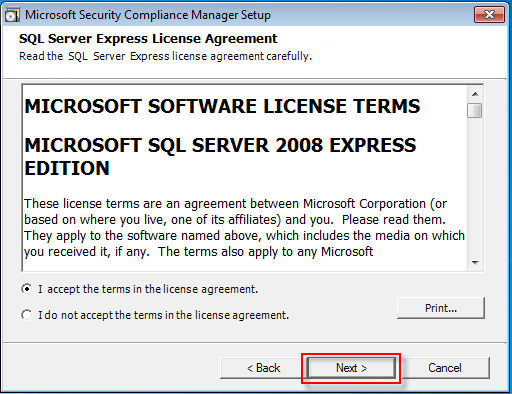 6)Accept the Microsoft license term and click next. 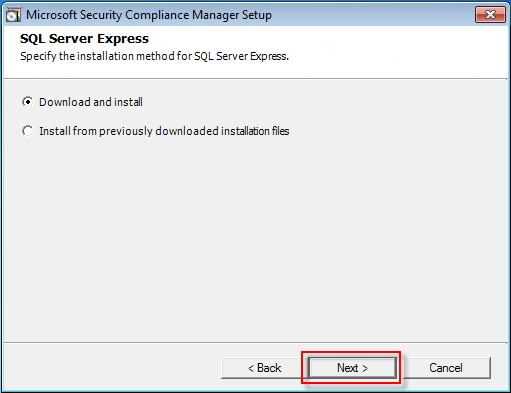 7)Click next to start the installation. 8)The new UI will show the status of the installation progress. 9)Select finish to complete the installation. 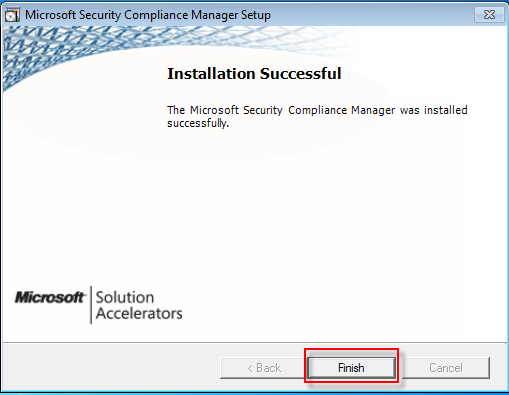 10)This is how it look like after we have install the Security Compliance Manager tool. 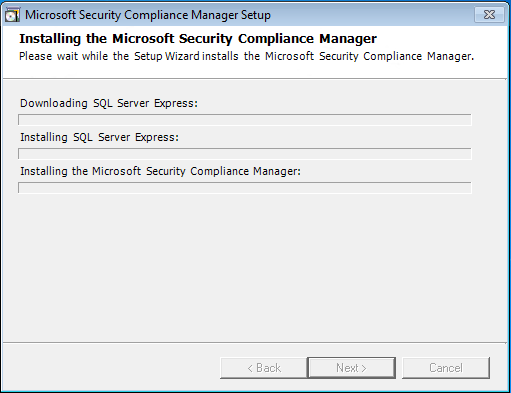 I will be writing more regard to security compliance manager. Stay tune and subscribe to my post for new update. Your feedback is much appreciated. Let us know what you think about the blog and what you will like to see more. I am looking forward to read your suggestion.